Looking west from Blackwell's Durham Tobacco company down Dandy (later Jackson) Street, 1880s. 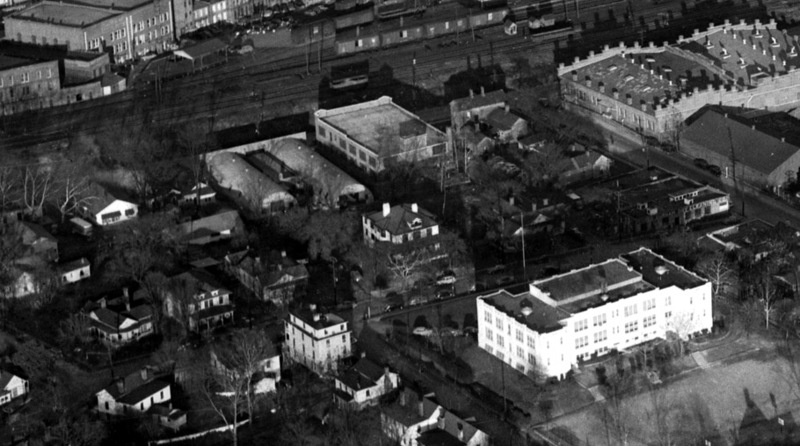 The 100 and 200 blocks of Jackson St., initially called Dandy St., were developed as housing for workers at Blackwell's Durham Tobacco Co. one block away. It appears that at least some of this housing was company-built, but I haven't found records that indicate whether some or all of it was. Small houses were similar to later mill houses, with the typical porch, center hall plan, triple-A roofline, and rear ell, but were embellished with significantly more detail that many later millhouses, including roofline corbels, detailed box posts, gable medallions and other features. Many of these early houses were supplanted by others, large and small, by the early 20th century. 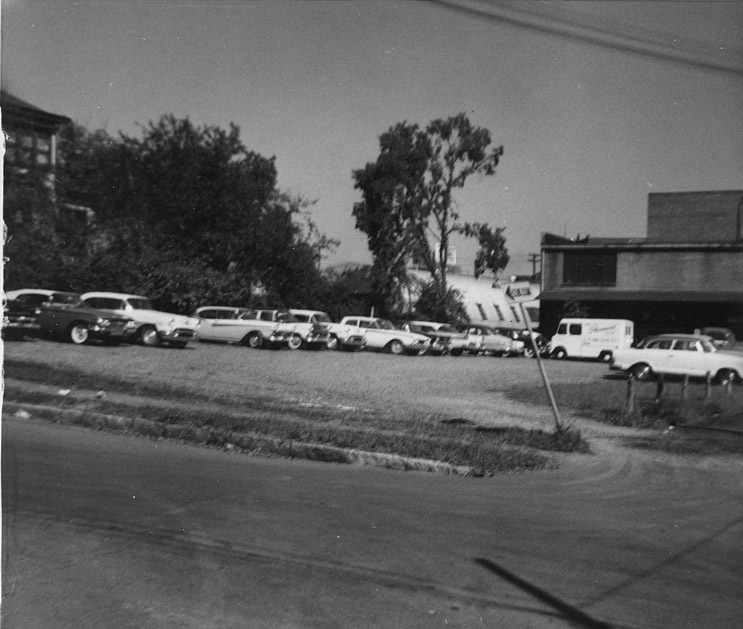 Looking north, 1948. The 100 and 200 blocks were a continuous block extending from Ashton Pl. to Carr St., the numbering split by the T intersection with Warren to the south. 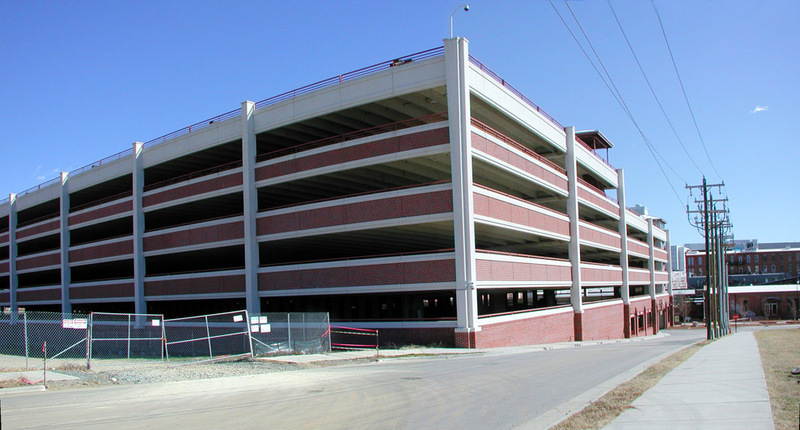 By the 1960s, commercial parking was beginning to supplant some of the houses in the area. 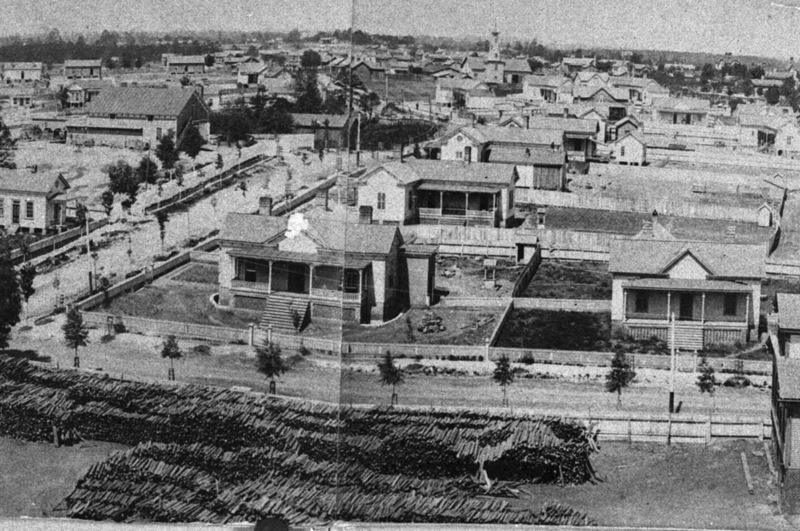 This area was completely razed by urban renewal, and became the rear access to light industrial sites along West Pettgrew. Some of this space was supplanted by the city parking deck for American Tobacco, which also took over Carr St. The remainder was recently demolished by the city as part of the area associated with the bus station - and area put out for RFP from interested develoepers. Word is that at least Capitol has shown some strong interest.